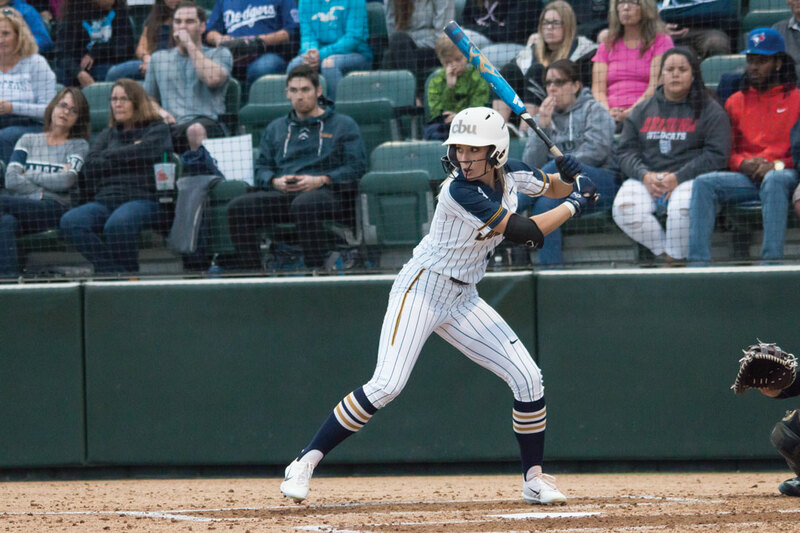 After showcasing her talent as a rookie on California Baptist University’s softball team, Caitlyn Lloyd, freshman journalism and new media major and left fielder, received a PacWest Athlete of the Week honor. Lloyd said her passion for softball started at a young age and grew with the support of her family and coaches. Bill Baber, California Baptist University head coach, said Lloyd’s attitude and competitiveness make her stand outthe most. Soraya Shahbazian, sophomore business marketing major and center fielder, competed against Lloyd before they both arrived at CBU. Shahbazian said since becoming teammates with Lloyd, she has taken notice of her competitive nature. Lloyd’s competitive nature is a present characteristic in her softball career and said it has guided her to develop goals while advancing her athletic career on the softball team. “Obviously, as a team, we want to win a PacWest championship. We want to make it to the World Series; that’s a big goal of ours,” Lloyd said. Although she would like to do well individually, Lloyd said it is never about the individual player but rather the team. The team holds an overall record of 6-5. The team will travel Feb. 25 for a game against Concordia University Irvine.